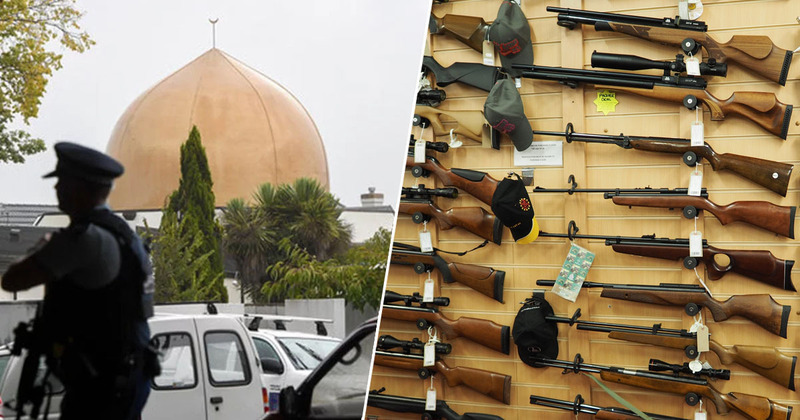 In the aftermath of the Christchurch twin mosque terror attack which left 50 people dead, New Zealanders have begun handing in their firearms. Police said that at least 37 firearms had been handed in to police officers around the country, as of Tuesday night, after Prime Minister Jacinda Ardern encouraged citizens to surrender their firearms. John Hart was among those who surrendered a firearm, which he had previously kept on his 20-hectare sheep and beef farm located north of Masterton. On the farm they are a useful tool in some circumstances, but my convenience doesn’t outweigh the risk of misuse. Hart is one of the group who have surrendered their guns, as advised by the prime minister. Police advised those considering a gun purchase to wait a few days to get some certainty on the laws before investing. Ardern is expected to announced gun reform in New Zealand in the coming days. Measures such as a ban on semi-automatic rifles were flagged as possible by her attorney general, David Parker, one day after the massacre. Her cabinet had unanimously voted to alter the firearms ownership laws ‘in principle’ and aim to do so quickly within days of the attack, Ardern announced at a press conference on Monday (March 18). This ultimately means that within 10 days of this horrific act of terrorism we will have announced reforms which will, I believe, make our community safer. We have made a decision as a cabinet, we are unified. No doubt, the quick action of the cabinet will give cause for reflection on the American second amendment and its failure to keep up to date with the modern trend for mass shootings. Gun reform in New Zealand has been supported by Fish and Game NZ, a key organisation in New Zealand’s hunting lobby, who called for a ban and buyback of military-style semi-automatic weapons, as well as a limitation on the sale of high-capacity magazines.